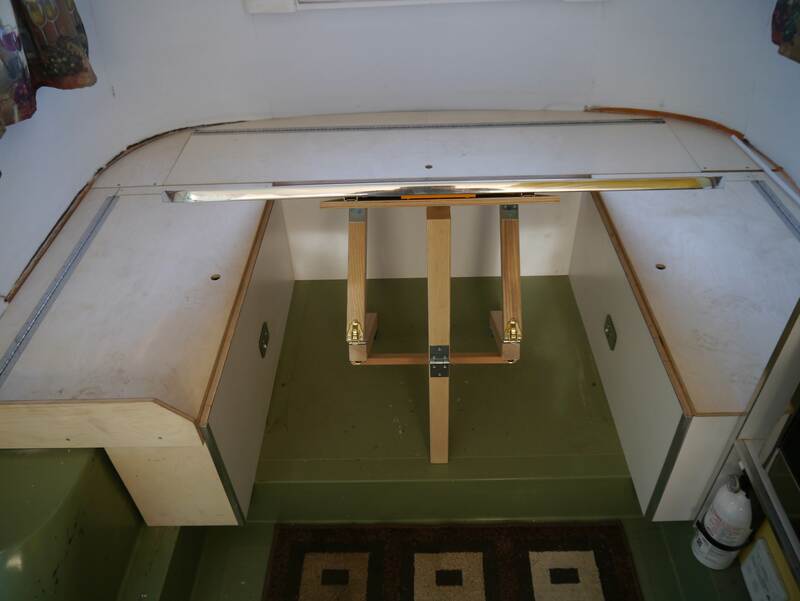 When I was building the interior of my 1974 Boler trailer the table leg design became an interesting evolution. 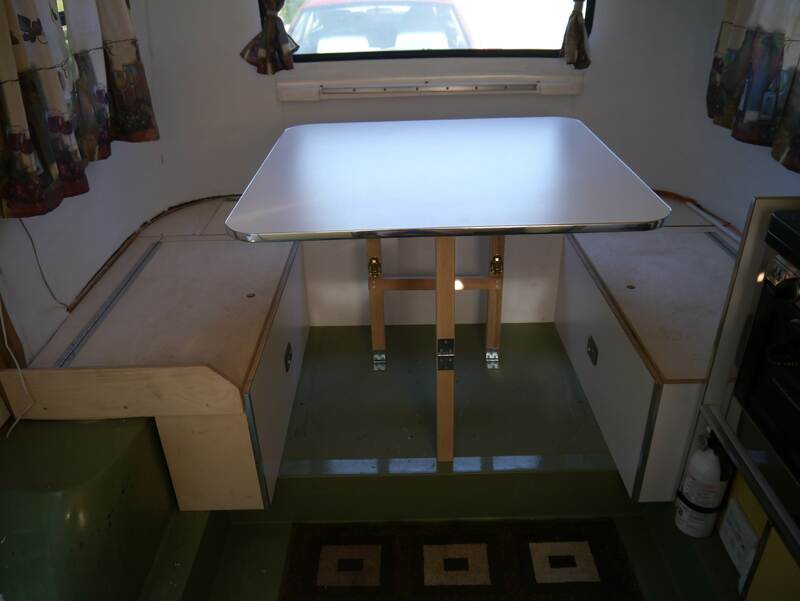 I wanted a simple system that was easy to use since the table/bed would be converted back and forth quite often. 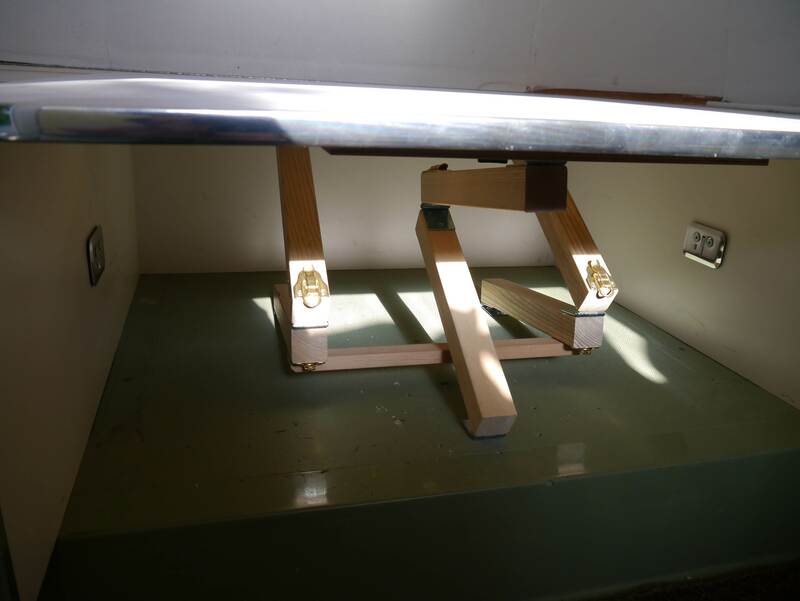 I initially tried a single metal pedestal used by many RVs but found it to be very unstable, so if one pedestal is not enough I tried adding a second one, which is also common in many RV’s. 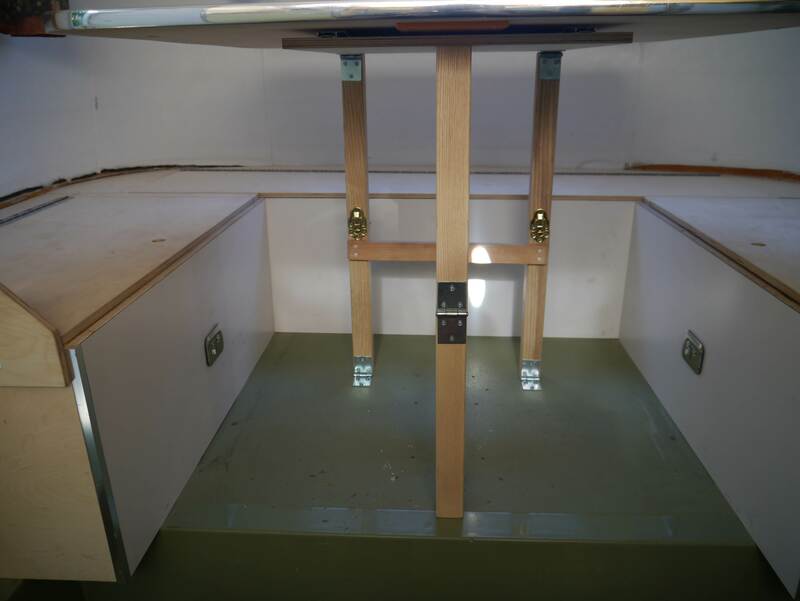 The two pedestals made the table stable enough, but I found it very difficult to remove and lower the 34”x34” table by myself. Thinking a folding leg system would be the best solution I designed a prototype of the bi-fold legs that are hinged at the top, middle and bottom. To fold the table you simply fold the back legs in half then the front leg, and voilà it should be that simple. This design worked very good, easy to set-up and put down and also very stable. 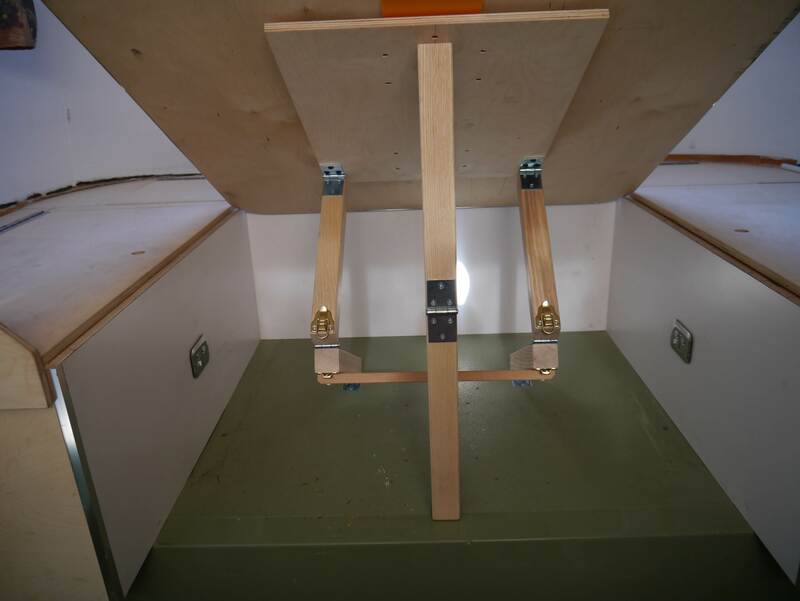 To lock the legs in the upright position spring latches opposite the hinges are used which essentially lock the legs in the center. 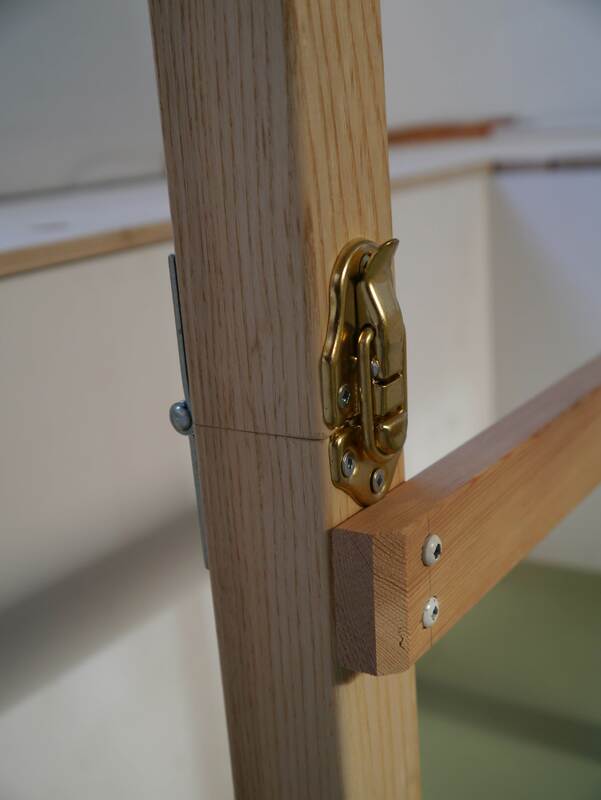 The only change I would make to a final version is to use higher quality hinges, the type I used in this prototype had play in the joint because the pin did not fit tightly and the metal leaf was quite thin and bent easily. Stronger, higher quality hinges would correct this.